Let's beautify San Pedro! 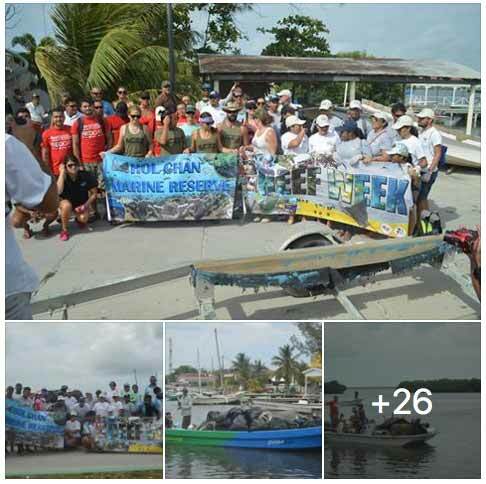 Hol Chan is hosting Ambergris Caye Coastal Clean Up on Saturday, May 12th, to further preserve the environment during Reef Week 2018! Let's show our love once again for the paradise we live in by removing the pollution. We clean the reef, beaches, waterways, lagoon and mangroves to protect the environment as a WHOLE because it is all one connected ecosystem! If we take care of all the working parts, mother nature will continue to provide us with a paradise to enjoy and share with the world. 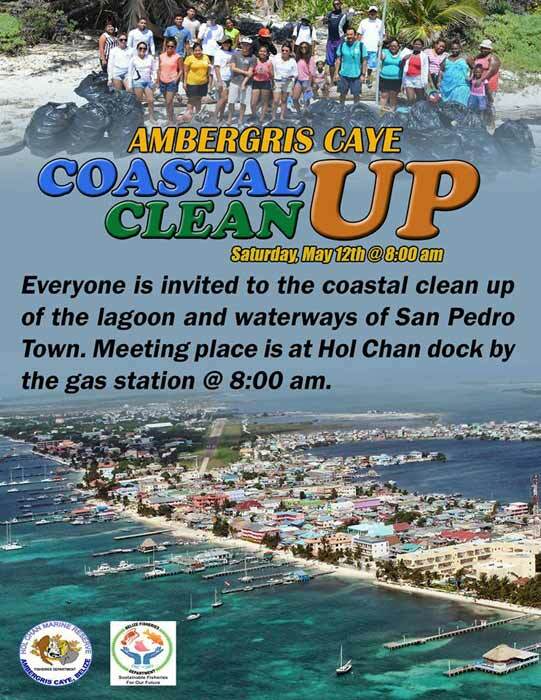 Everyone is invited to the coastal clean up of the lagoon and waterways of San Pedro. Meeting place is at Hol Chan Dock by the gas station at 8:00 am. Bring your reef safe sunscreen, hats, sunglasses, and snorkel gear! Some other suggested items: gardening gloves (or something similar, as some objects can be rusted, sharp, and shattered), 70% Isopropyl alcohol for cleaning hands and scrapes, first aid items, reusable water bottles, pickers. Depending on the turnout, we may have groups cleaning the beaches and waters surrounding the docks on the ocean side, as well as a few boats heading into the lagoon to tackle some of the random garbage piles that have popped up in the mangroves. Please note that only boats that have the ability to cruise in very shallow water should head to the "Hot Spots" as seen on the map in the lagoon. Can you make it? Can you provide a boat? Let us know!